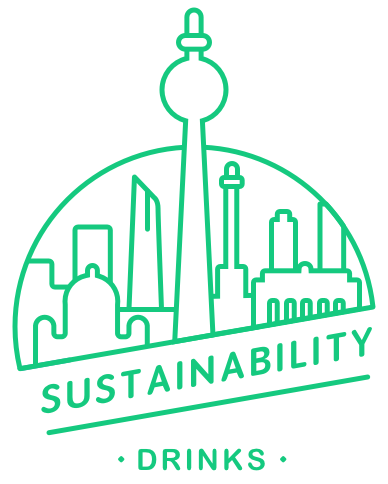 Finance & Sustainability: Green your Money - GreenBuzz Berlin e.V. Sustainability is conquering the financial world! The event will take a look at what is happening on the financial market in terms of sustainability and what you can do in order to make your account greener. 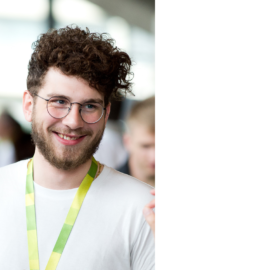 The talks will introduce you to the different approaches used to determine sustainability from an investment perspective and give you an insight into the workings of GLS Bank, Germany’s first social and ecological bank. 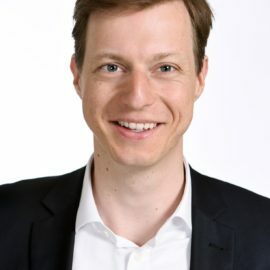 Philipp Megelin has a background in Business Administration and Corporate Environmental Management. He previously worked for BASF, where he specialized in the assessment of sustainability and the strategic implementation of sustainability assessments. 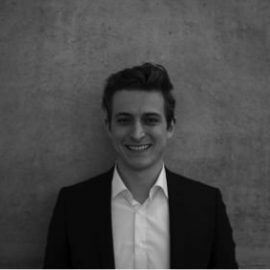 Since 2015 he has been assessing the sustainability of publicly listed companies as analyst for Sustainability Intelligence providing a basis decision-making for investors. About Sustainability Intelligence: Sustainability Intelligence is an independent provider of information, research and rating services. It focuses on sustainability evaluation of companies, investment products and issues of public interest. Its vision is to create more transparency about organizations' holistic sustainability in order to accelerate developments and promote investment decisions that create value for all stakeholders. Johannes v. Streit started his career at a conventional bank, where he pursued a vocational training programme. He soon realized that he did not fit in, so he started studying sustainable Management at Technical University Berlin. Today he works as a consultant at GLS Bank, where he helps customers finding their matching ecological investment. About GLS Bank: The GLS Bank was the first social and ecological bank in Germany. GLS stands for "Gemeinschaftsbank für Leihen und Schenken", which translates as "community bank for loans and gifts". The bank was founded in 1974 and it currently finances around 23,000 projects and businesses. The Bank focuses on cultural, social and ecological projects which try to tackle challenges in our society by developing creative solutions. Loans are offered to projects like independent schools and kindergartens, organic farms, institutions using therapeutic pedagogy, nursing homes, projects for the unemployed, health-food stores and communal living projects, as well as sustainable businesses. Transparency is one of the main objectives of the GLS: details of all initiatives and companies that receive loans are published in its magazine "Bankspiegel", together with information on the development of the bank itself. Manuel Ehlers studied engineering and business administration at TU Berlin, ETH Zürich and Bauhaus-Unversität Weimar. He started as a real estate developer for sustainable real estate - mainly office buildings and has worked for several development companies. However, he found himself limited by the institutionalized market. For the Triodos Bank he is in charge of financing sustainable real estate projects in Berlin and has a greater chance to support diverse projects. He works in the Bank´s capital city office. About Triodos Bank N.V.: Triodos Bank is one of the world's leading sustainable banks. Our mission is to make money work for positive social, environmental and cultural change. Triodos Bank finances companies, institutions and projects that add cultural value and benefit people and the environment, with the support of depositors and investors who want to encourage socially responsible business and a sustainable society. No time to act against climate change? This app tells you, what you can do right now and save time and money at the same time. Just invest a few minutes and you can be certain, if everyone in this world is as diligent as you, we can be sure to stay below 2°C global warming. The conference is hosted by the German Federal Ministry for the Environment, Nature Conservation, Building and Society (BMUB), the German Environment Agency (UBA) and the German Federal Environmental Foundation (DBU). It is organized by adelphi, the Potsdam Institute for Climate-Impact Research and the Stockholm Environment Institute and supported by the Stockholm Resilience Centre, PBL Netherlands Environmental Assessment Agency and the Forum Nachhaltige Geldanlagen. We want to announce the conference, but at the same time we are still looking for speakers for an side event on Planetary Boundaries and the Financial Sector. The Fair Finance Guide Germany assesses responsible investment policies of banks operating in Germany. This means that we analyse in how far banks look at human rights and environmental protection when they decide to finance or invest in a company. This is complemented by research into the banks acutal practices, as many banks continue to finance or invest in companies that violate human rights and environmental standards. The initiative is led by Facing Finance and supported by Rank a Brand and Südwind. Oikocredit is a worldwide cooperative that promotes sustainable development by providing loans, capital and capacity building support to microfinance institutions, cooperatives, fair trade organizations, small to medium enterprises and renewable energy projects. As a social investor, Oikocredit’s work is guided by the principle of empowering people to improve their livelihoods. We plan to solve plant based cheese once and for all, by using molecular biology to find suitable ingredients. The resulting product will be cheaper, healthier and more eco-friendly than its animal based counterpart. We are a solar utility that provides low cost electricity to businesses in emerging markets. We finance the projects through our crowd investing platforms, closing the finance gap that prevents these projects from being realised. Private investors can get returns of 5-8% on their investments over 5 years, while also saving CO2 emissions and supporting the local economy in the project country. We are a profitable photo-voltaic startup in Lithuania. We do sell solar systems. Now we're working on new projects: Solar Mobile station, and Africa rural electrification.